4 out of 5 Exit9 customers that buy an E9 gift certificate buy a Mighty Wallet to put it in! Gifts for everyone on your list in just 3 minutes per person! 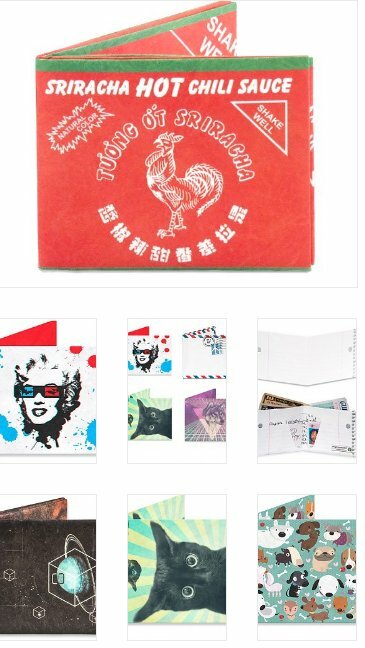 Mighty Wallets are made from tyvek and last forever. We suggest that you use them as clever wrapping paper for an Exit9 gift certificate. That is a fantastic gift done in about 3 minutes flat! And we have a mighty wallet for most personalities. That means just multiply the number of people on your list times 3 minutes and that's how long it will take to get your shopping done. That is some good holiday math. See ya soon. P.S. We made up that statistic. Sorry.